A nonionic surfactant prepared from cetyl-stearyl alcohol and 20 moles of ethylene oxide. 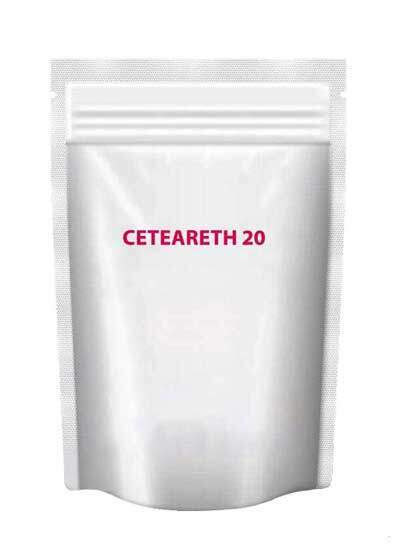 Ceteareth-20 is a high HLB emulsifier used in oil-in-water emulsions. 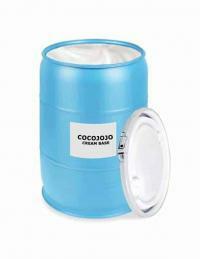 Provides exceptionally stable emulsions when used in combination with another emulsifier such as glyceryl stearate. Solubility: Water and isopropyl alcohol soluble . Properties: Universal emulsifier to make o/w emulsions, compatible with all kinds of oils & active ingredients, very effective protective colloid that stabilizes all kinds of dispersed systems, can be combined with other emulsifiers, optimal use with gel-forming thickeners. This information on regulatory clearances is believed to be accurate and is given in good faith as a guide to the global use of our products. No representation or warranty as to its completeness or accuracy is made. Users are responsible for determining the suitability of these products for their own particular purpose. 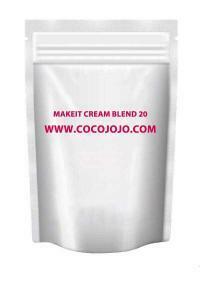 At pure usage levels it can cause irritation to the skin. In addition to our precautions and general safety information, we always recommend keeping a first aid kit nearby. You are working with hot water and oils, accidents can happen, so always be prepared!